You Hear The Sea, Smell the Salt Air and Navigate Gorse and Heather on a Fine Irish Day. Sunny…for now. 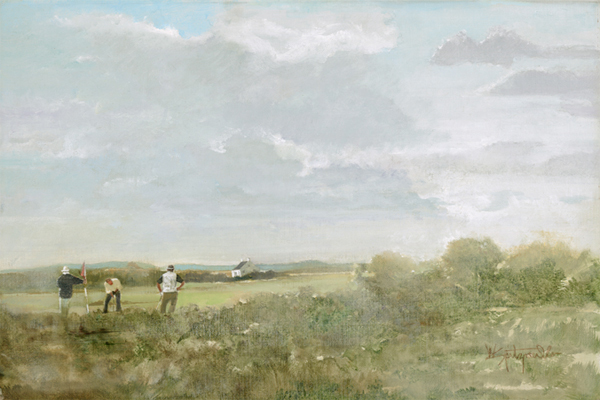 This is a painting from one of my many trips to Ireland where I have played many rounds. Have a touch of Irish hospitality in your Den are any where. Have the glorious landscape and the Irish warm hospitality.